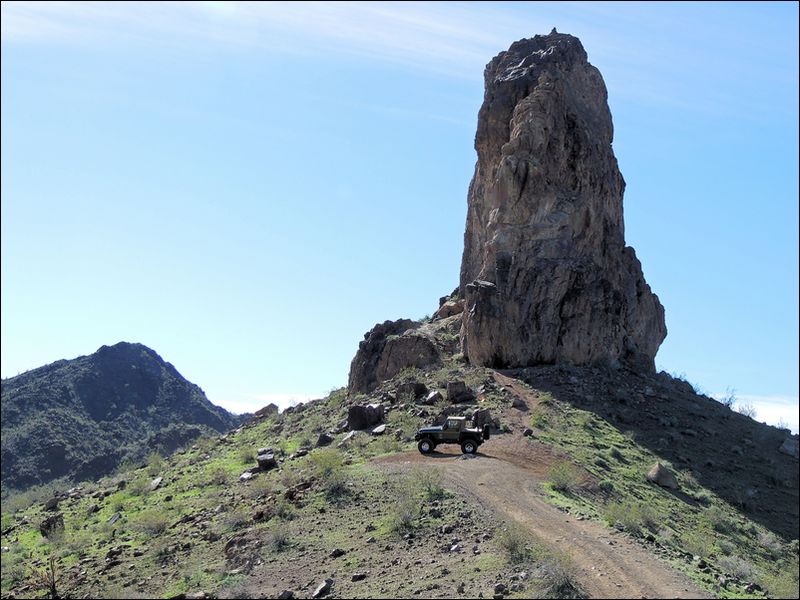 Start and end at "The Terraces" while visiting Rovey's Needle, the edges of Bill Williams Wildlife Refuge, a honeycomb and an out-of-place rust rock canyon. 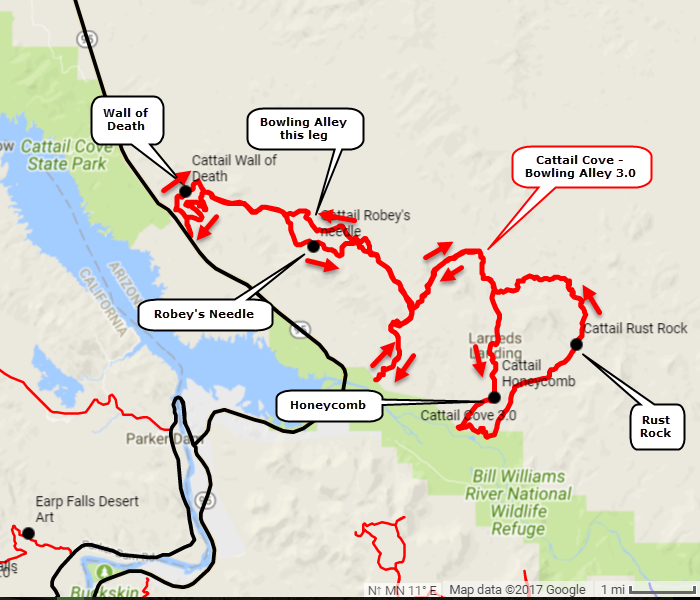 This trail is rated 3.0 but there are plenty of "extra credits" along the way, especially on the spur to Bill Williams Wildlife Refuge. There is a GPX/GPS file at the bottom of the page. 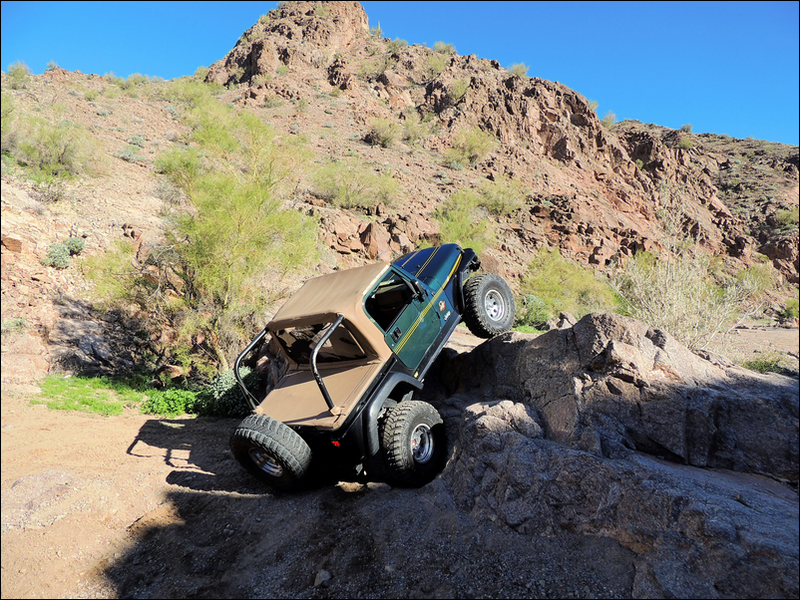 The first obstacle on the trail is the optional Wall of Death. 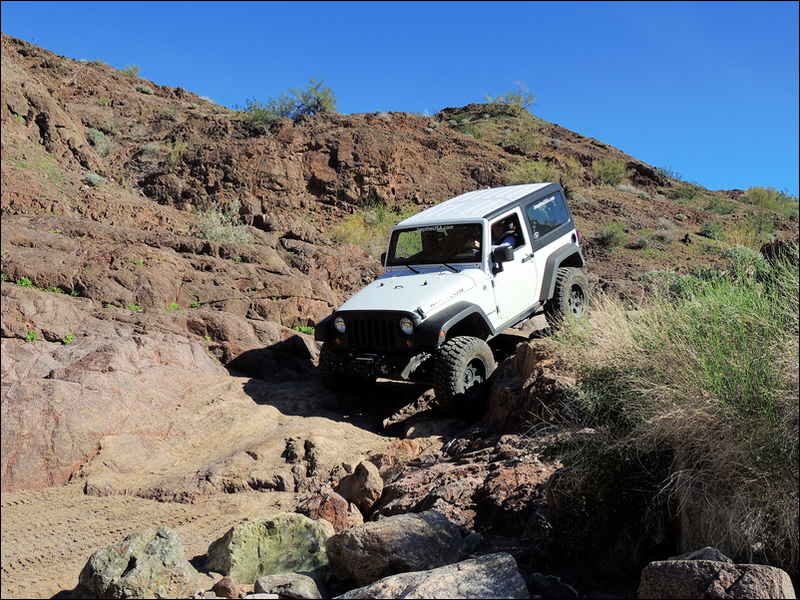 This was named back in the days of smaller Jeeps without lockers. It is not all that unusual today. There is a bypass. 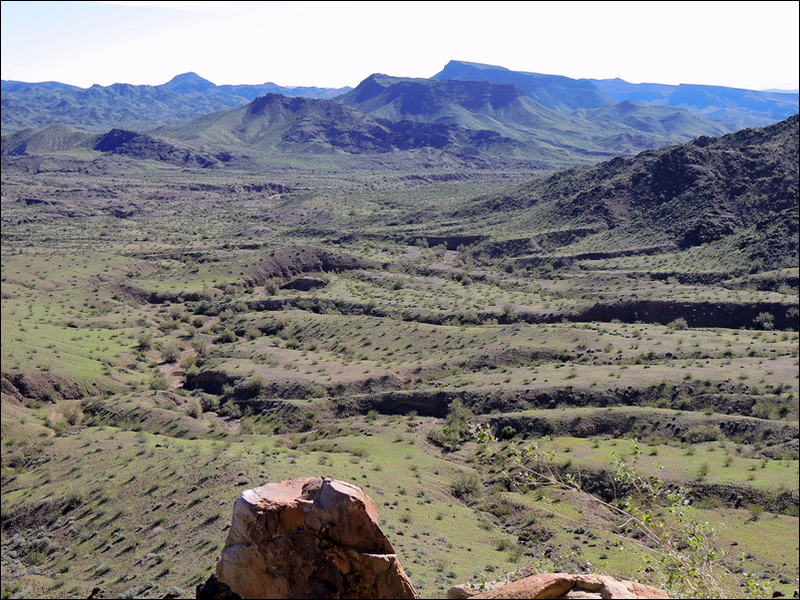 We were lucky to visit the area after a rainy spell that left the desert very green. Highly unusual. 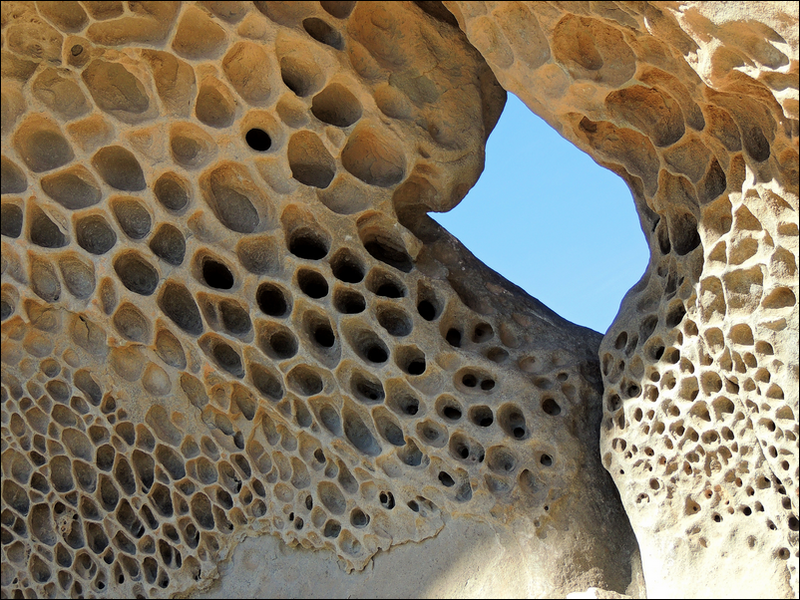 Rovey's Needle is sometimes called Holey Rock or Honeycomb Rock because of the holes in the middle and its honeycomb texture. 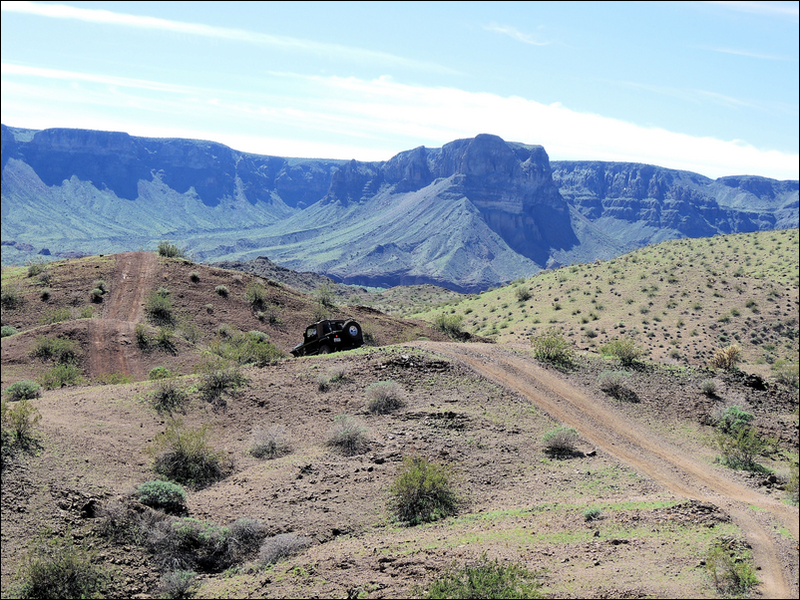 Situated in central-western Arizona along the Lower Colorado River, the Bill Williams River extends a short 40 miles before emptying into the Colorado River at Lake Havasu. 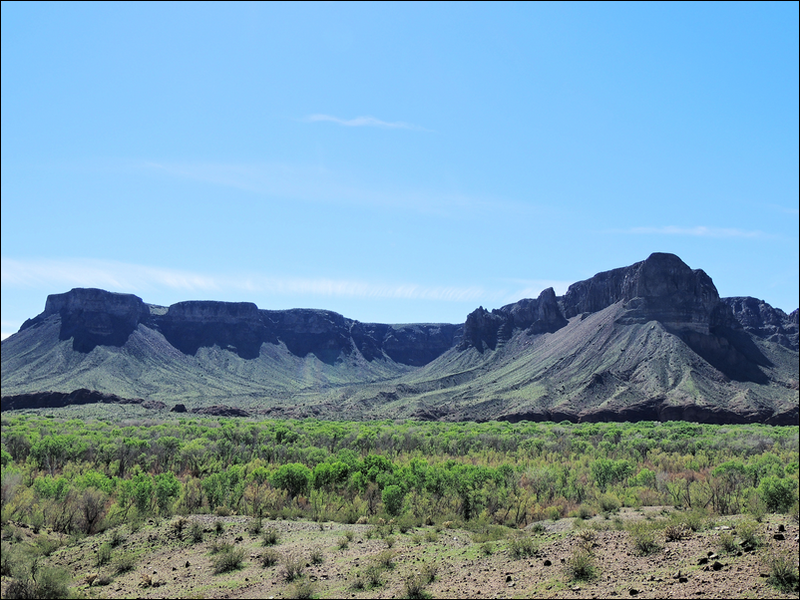 6,100 acres of the river and its unique habitat are protected within the Bill Williams River National Wildlife Refuge. This trail reaches the north boundary of the Reserve in two places. 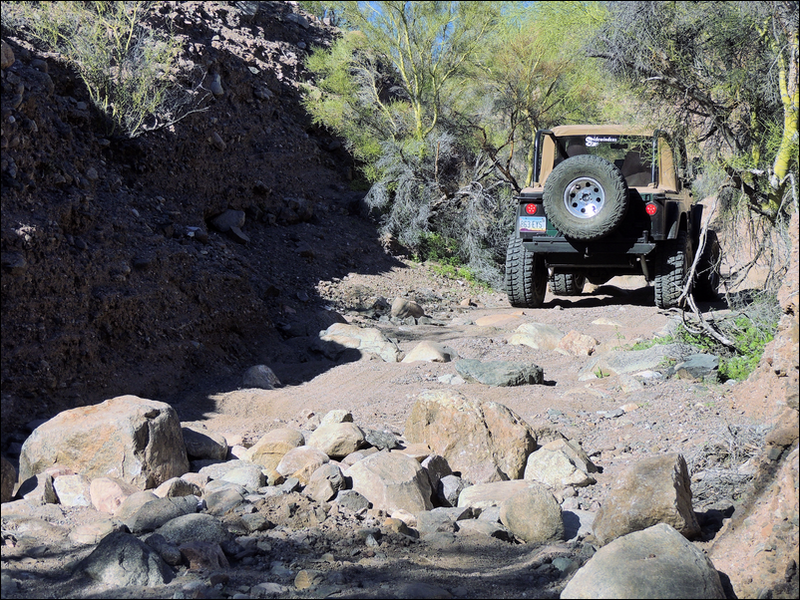 The first spur offer many chances for extra credits on rocks along the wash. 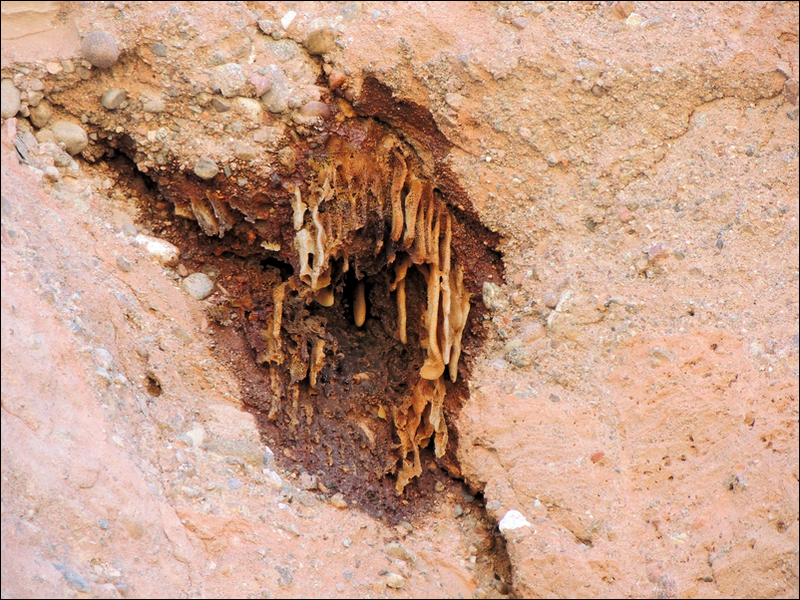 There is a hole high in a cliff that contains a real honeycomb - not one made of rock. 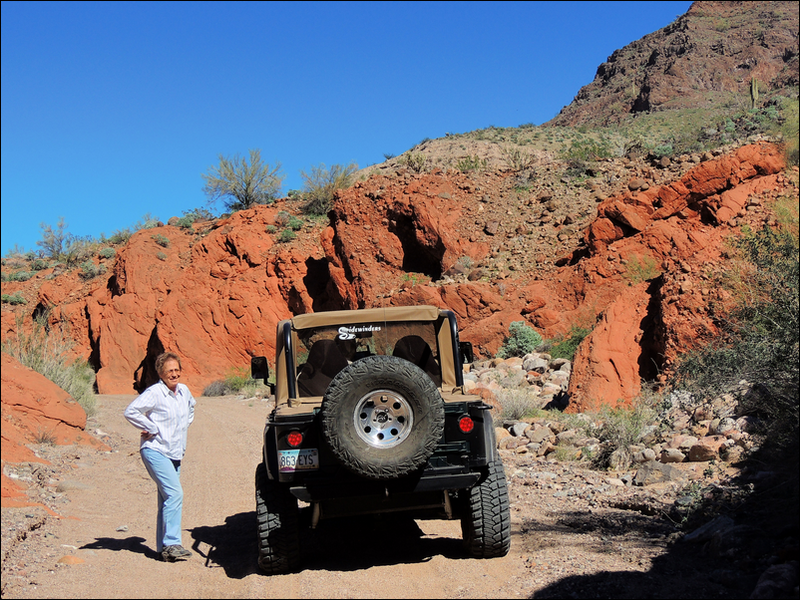 The eastern end of this trip takes you close to the Bill Williams Mountains and through an out-of-place "Rust Rock" canyon. 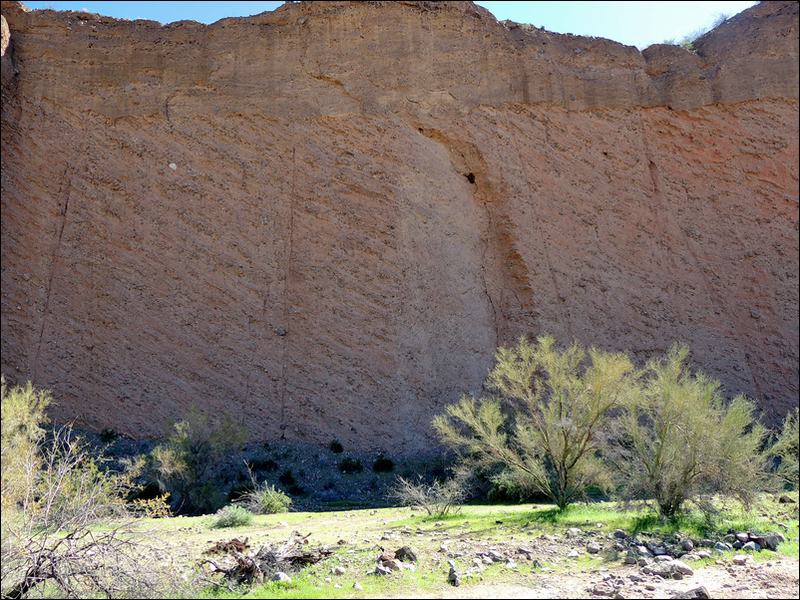 This is the only spot we saw this formation on the entire trip.